The difference to conventional hostels is that you will have the opportunity to contact with real Salvadorian people & talk about our countries, lives or local culture, share your experiences and adventures, or simply practice Spanish language. A place to exchange experiences, sleep, taste local food or relax in our garden, watch TV or a movie, prepare your meals, you just relax! You’re in home. Because that´s the real meaning of casa. Here you will feel like home. We also enjoy travelling and understand that you need a safe & comfortable place to recover your energy, here you`'ll find a quiet & charming place. 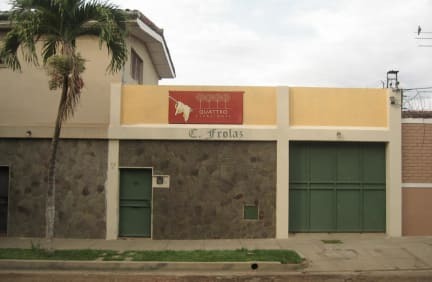 A cosy hostel near of supermarket, ATM´s, cinema & convenient bus stops, offering a convenient base when you are in Santa Ana. 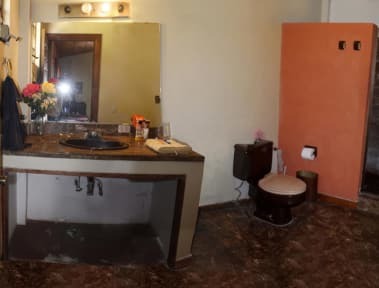 Una buena hostal para estar en santa Ana! El dueño es muy simpático y siempre está dispuesto a ayudar. Tiene la información necesaria para todo tipo de mochilero. Recomendada!